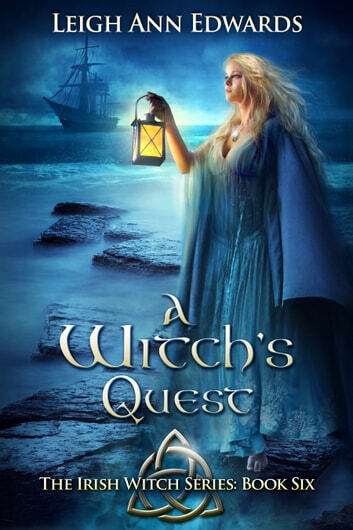 The spell-binding story of Alainn and Killian O'Brien's love continues with passion, danger, and adventure in store for the young lovers in the riveting tale of A Witch's Quest. Attempting to flee England and the untrustworthy king, as well as the dark demon and those bound to him, proves exceedingly difficult and creates further dire consequences. Together, the beautiful and magical young, Alainn and her courageous and ever-faithful, protective husband, Killian encounter a perilous storm at sea, a devastating disease, and the results of an evil blade cursed by the unrelenting demon. Once again, Alainn must face the harsh reality that her powerful magic cannot ensure happiness or protect all those she cares for. 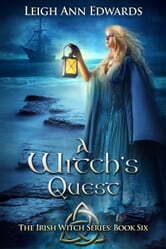 Great series, has kept me enthralled. i await impatiently the 7th (and final?) book!